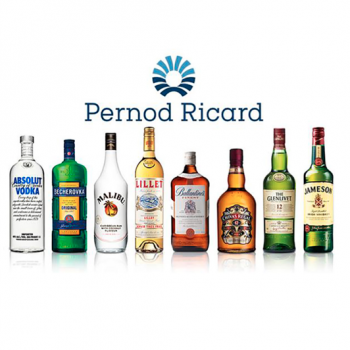 French spirits producer Pernod Ricard has raised its profit growth expectations, and set out a new three-year strategy plan to increase profit margins, following the release of its H1 2019 results, which saw net sales total €5.2 billion – an organic rise of 7.8%. Pernod’s net sales grew to €5.2 billion in H1 2019 – an organic rise of 7.8%. Profit from recurring operations reached €1.654 billion euros, an organic rise of 12.8%. Pernod said on Thursday that its goal for the 2019-21 period was to lift operating profit margin by 50-60 basis points per year, provided it could deliver annual organic sales growth of 4-7%, having achieved 6% in the 2017/18 year. The company also announced plans to make €100 million euros ($113.6 million) in cost savings to drive this margin expansion. Pernod added it would progressively raise its dividend payout ratio to 50% of net profit from recurring operations by 2020, compared to 41% at present. It follows pressure from US activist fund Elliott, which holds a 2.5% share in the producer, to raise profit margins to bring them more in line with larger rival Diageo and improve governance, suggesting €500m in cost cuts and options such as merging with another spirits company. Alexandre Ricard, chairman and chief executive officer, said: “H1 FY19, the first semester of our new Transform & Accelerate three-year plan, was very strong. While enhanced by phasing, it confirms the acceleration of our growth, resulting from our long-term investment strategy. “For full year FY19, in an environment that remains uncertain, we aim to continue dynamic and diversified growth across our regions and brands. By the end of June 2019, we will have completed our operational excellence plan announced in 2016, delivering €200m of P&L savings one year ahead of plan. In terms of markets, the Americas reported “robust” growth of 4% in sales, while Asia-Rest of World achieved “strong acceleration” of 16%, thanks to China and India. The European market remained stable, with organic growth flat at 0%. In terms of brands, Pernod’s portfolio of International Brands grew 10%, driven by Martell, Jameson, Scotch, Gin and Champagne. 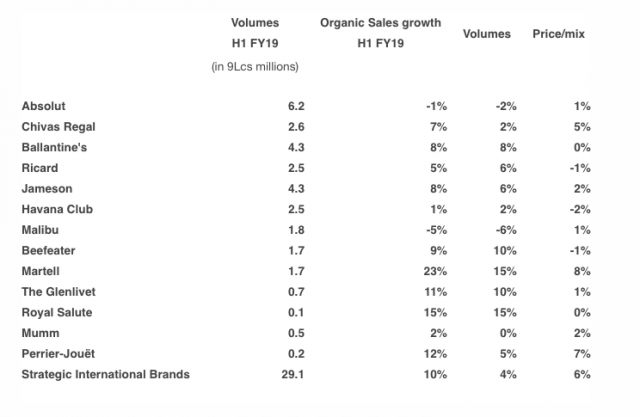 Strategic Local Brands reported an uplift of 11%, thanks to Seagram’s Indian whiskies, while sales of Specialty Brands grew by 11%, with “very strong growth” of Lillet, Monkey 47 and Altos. The company’s wine portfolio, however, which includes Campo Viejo, saw a slump, dropping by 8% compared to the 23% increase achieved in H1 FY18.